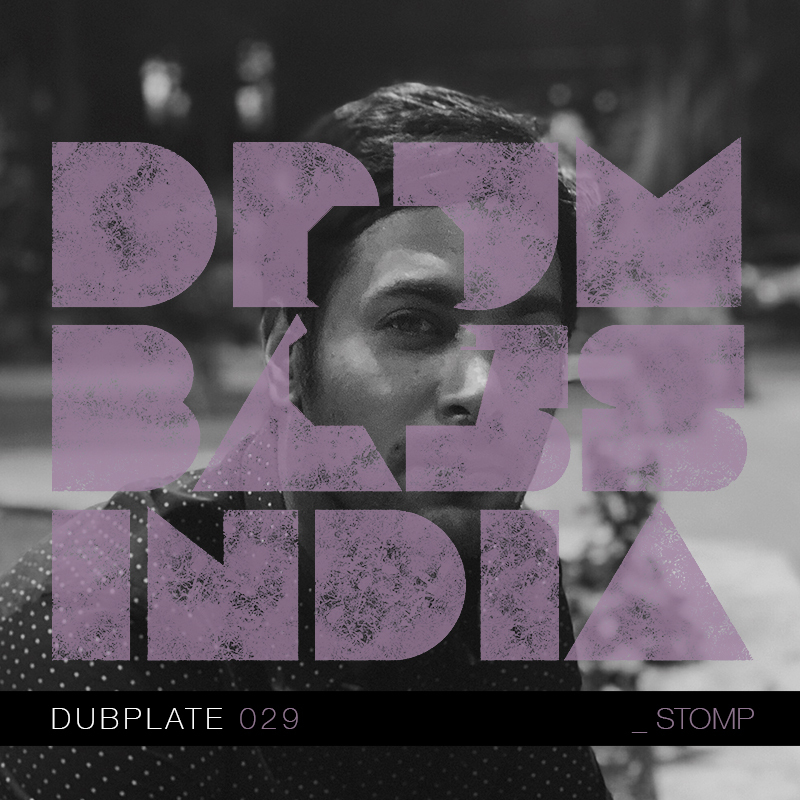 Our 29th Dubplate feature is here with a Neuro Bass producer and a Sound Engineer based in Delhi, Kashish, who goes by the stage name 'Stomp'. An absolute sucker for weird-twisted sounds, he has released some smashers on international labels like 'Abducted Records' [USA], True Bass Recordings [Portugal] etc. His production skills have never failed to amaze us, listen to 'Backbreaker' from his 'Breach' EP which was released a year ago, and you'll know the energy that we speak of. Listen to this groovy mix set he has made especially for our audience, while you read our quick chat and know him a little more. 1. For our fans who are new to your music, tell us about yourself? A - I started off with Metal and progressed to electronic and stated getting into Dubstep, although for me something wasn't adding up. Since I came from metal and rave background, I was always craving for something continuous that would build up to something filthier and filthier! For me, Drum and Bass was a perfect match! It's Drum and Bass and the groove, that defines me in a nutshell. 2. What was your inspiration behind the Stomp Project? A - Old School Black Sun Empire, Noisia & State of Mind. Neonlight, Icicle, Phace etc. later on, but majorly Black Sun Empire, State of Mind, Noisia, Telemetrik back in the day! 3. We are really digging your productions. Can you tell us why Neurofunk is your standout genre? A - Neurofunk, because I like weird things! Neuro is really versatile, and with Neurofunk, it's that element of funk that I really dig. Incorporating that with a dark futuristic vibe, and techy sound design, defines my sound. I went with a bit more of a deeper sound design with the EP I finished, but yeah, bottom line being; I like weird and I like to boogie! I like to keep it jumpy because it never goes mellow, it shouldn't! Nice is boring, period. 4. How did you get into Drum & bass? Tell us more about your inspirations behind your penchant for Neuro? A - I got into Drum and Bass because of Black Sun Empire majorly, when I started listening to DnB, their productions hit the spot for me; heavy, filthy and intricate melodies and the way I could rave to them. About neuro, I saw a rise in trend when it came to Neuro which if you ask me was inevitable considering the freshness it brought to the scene. Every time I heard it there was some or the other element that always surprised me! Be it a tiny glitch or an off beat hat or just anything. Icicle being one of the stand out artists for me, there's a few more artists I really like, some of them being; Proxima, Telekinesis, Cruk etc. All of them have only pushed me more into the genre. 5. How do you think the international labels [True Bass Recordings, Abducted Records & Abducted LTD, etc.] that you worked with, have shaped your sounds? A - Honestly, they have helped me immensely. They supported my music style and basically just put me out there, in the scene. Also because of the releases I got in touch with some really talented producers, and being in touch with them has definitely improved my production since I constantly talk to them and share my current work to get their feedback. Both these labels and the producers have whole heartedly supported me. Even the mixing aspect of my tracks, say when I am stuck, they always hear, discuss and tell me to try some new technique and it really works. And that part according to me is really crucial to your music cause I feel no one will listen/follow your tracks if they aren't mixed well. 6. Can we expect Stomp to make some melodic numbers in the future? A - I like mixing melodies but intricate melodies, not completely melodic. I could do that, but it does not resonate with me like intricate melodies and glitches do. Melodies like Black Sun Empire and State of Mind use in their tracks with a bit of psychedelic influence or the sound Tipper goes for, that's something I am always more inclined towards. Using foley sounds, glitches and similar stuff like that. It could be a good idea to incorporate it, but not in the near future, no. 7. Time for some quickfire questions. A - • Ed Rush & Optical or Mefjus? - Mejus! • Andy C or Friction? - Andy C! • Boomtown or Let It Roll? - Let it Roll! 8. Top 5 tunes you are digging at the moment? Follow Stomp - Facebook | Soundcloud.